If you an experienced programmer and know how to write SQL queries and database fundamentals but want to take your SQL and database skills to the next level then you have a come to the right place. In this blog, I have shared a lot of free SQL books and courses you can use to start your SQL journey. This is also the second article about SQL books, In the first part, I have shared some of the best SQL books which are essential to learning SQL queries and fundamentals of database e.g. normalization, indexing, and other design stuff, if you haven't read it yet, I suggest to do it now. You will find some amazing book to start learning SQL. In this article, I am going to share some of the best books to learn advanced SQL programming, which can help you to write better SQL queries and understand how database process those queries. I strongly believe that books are a great source to learn programming and technology, even though they are rapidly changing. Only books provide the comprehensive coverage of techniques and tips required to master a subject like SQL. SQL is one of the essential skill for any programmer. Every professional programmer, software engineers, DBAs, Business Analysts, and even testers should read a good book on SQL. Thankfully, there are a lot of good SQL books in the market but depending upon your existing knowledge and experience level, you should choose the books which will take your SQL skill to next level. These books will also help you to work across database vendors e.g. Oracle, Microsoft SQL Server, MySQL. Once you know to write correct SQL query which follows ANSI standard and can be run on any database, you will feel the joy of being a SQL master. Here are some of the best books to take your SQL skill to next level. These books will not only help you to learn advanced concepts but also help you to bridge your gap on fundamentals e.g. join, indexes, and other database design concepts like normalization. The SQL Cookbook: Query Solutions and Techniques for Database Developers (Cookbooks (O'Reilly)) 1st Edition by Anthony Molinaro is another fantastic book for experienced programmers and anyone who code SQL for a living. I really like the what this book says about SQL, that "SQL is a deceptively simple language" and many programmers and DBAs doesn't go far beyond the simple CRUD statements e.g. SELECT, INSERT, UPDATE and DELETE, but there is so much you can do with the SQL, this is where SQL Cookbook helps you. It will teach you how you can take your SQL skills to next level by using author Anthony Molinari's favorites SQL techniques and features. You will learn about advanced SQL concepts like window functions, powerful, database-specific features such as SQL Server's PIVOT and UNPIVOT operators, the Oracle's MODEL clause, and PostgreSQL's very useful GENERATE_SERIES function. The book also explains the technique of walking a string, which allows you to use SQL to parse through the characters, words, or delimited elements of a string. In short, one of the great book to take your SQL skill to next level. 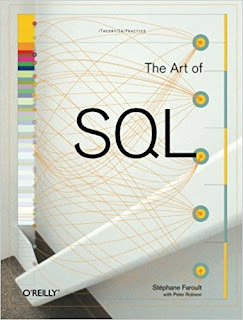 Btw, If you prefer online courses then you can combine this book with the Advanced Databases and SQL Querying, a free course to get the best of both worlds. 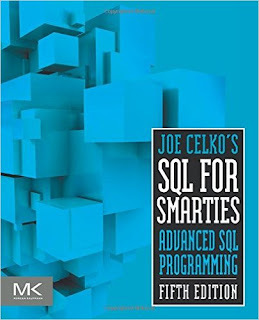 Joe Celko’s SQL for Smarties, Fourth Edition: Advanced SQL Programming (The Morgan Kaufmann Series in Data Management Systems) is an excellent book to take your SQL skill to next level. He is one of the authorities in SQL and also the author of several popular SQL books, including the SQL Puzzles. He was also a member of the ANSI SQL standards committee for ten years. This book offers tips, techniques, and guidance on writing effective, sometimes complex, SQL statements using ANSI standard SQL. It touches on topics ranging from database design and normalization to using proper data types to grouping and set operations, optimization, data scaling, and more. Even if you have read previous editions of this book, you should read the latest revised edition. Every Programmer who writes SQL queries for a living will find something useful in SQL for Smarties. If you need more practice, Baseball Database Queries with SQL provides good queries for exercise. Knowing to write SQL query is one thing and writing SQL queries which are fast and gives high-performance is another skill. This is also the skill which separates beginners from experienced programmers. 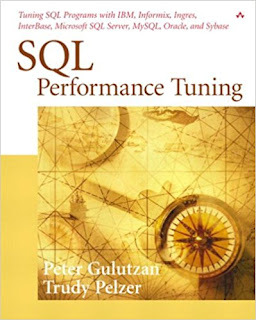 This book provides a lot of practical tips for improving SQL performance on all of the major database systems. It does not teach you the SQL syntax and how to use a particular SQL command but instead helps you to understand the differences between the major DBBS, including big three i.e. Oracle, SQL Server, and MySQL. In this book, the author presents several practical tips to improve SQL performance across databases. If you deal with different database implementations this book will be a great asset, whether you are a programmer, consultant, DBA, or technical end user. The tips given in this book can help you to decide which tuning techniques will work for which database e.g. it's not necessary that one trick which gives better performance in SQL Server will also give you best performance in Oracle. Essentially, this is what you will learn in this book. I have hardly worked on any project where I have done just Java related work. It's always a mix of technology e.g. Linux, XML, SQL, Java, and other application developed in other languages and technologies e.g. C++. The biggest benefit of SQL is that it is a very stable technology, it is not changing at a rapid pace as a programming language and it will serve you well in many more coming years. This also provides the competitive edge you need to go ahead of other candidates of the same profile. For example, if you get two candidates who have very strong core Java knowledge and one has better SQL and UNIX skill, who will you take? most likely the second candidate. This is another great SQL book for an experienced developer who touches key areas of database and SQL e.g. designing a database for high performance. As anyone who ever built database applications knows an improperly designed database can be the biggest impediment to flawless application performance. The book is written in the style of "The Art of War" by Sun-Tzu. Each chapter has similar titles e.g. "Laying Plans", "Tactical Dispositions", "The Nine Situations" etc. The chapter titled "Tactical Dispositions" covers the topic of indexing and in "The Nine Situations" the author examines several classic SQL patterns and how best to approach them. 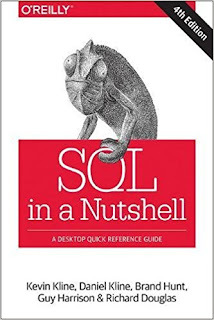 The SQL in a Nutshell, 3rd edition by Kevin Kline, Daniel Kline, and Brand Hunt is an essential reference for programmers, analysts and database administrators (DBAs). 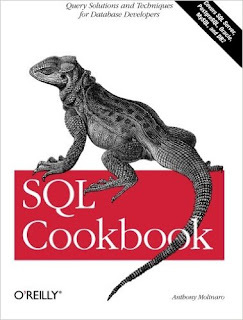 This book offers a great cross-platform syntax reference for SQL. It probably is not the easiest reference to use for finding the exact syntax for one particular DBMS, but it is absolutely the best reference for those who work with multiple DBMSs. That's all about some of the best books to learn advanced SQL programming. If you use SQL in your projects, currently learning SQL or already worked in SQL for a couple of years, you can read these books to take your SQL skills to next level. There is so much to learn about SQL then just select, update and insert statements that you will surprise with some of the concepts you will learn in these books, especially when it comes to cross-database knowledge. If you like this article and these SQL books then please share with your friends and colleagues, it makes a lot of difference. If you have any suggestion, feedback, or question then please drop a comment and I'll try to answer. If you have any good SQL book, you want me to read, then feel free to suggest in the comment, I just love to discover great books.